BUKIT LANJAN: Don’t give up hope to be rakyat Malaysia! Malaysian citizenship applicants are urged not to give up hope in their quest to be rakyat Malaysia. Even a 106-year-old was so thrilled, emotional and happy to be granted citizenship with the help of a Gerakan Special Task Force For Citizenship. “Never give up. Always have faith because there are many who were granted citizenship after 50 to 60 years,” Gerakan president Mah Siew Keong said. Mah, who is also Plantation Industries and Commodities Minister, said Gerakan pledged to continue to strive to help every single eligible applicant to become Malaysian. He said: “This is the fifth such successful presentation of letters of approval for Malaysian citizenship by our task force which was set up about two years ago after a discussion with the prime minister and his deputy. “The task force’s priority is to help Chinese senior ‘citizens’ (aged 70 and above) to secure citizenship. We have been criticised by certain quarters for doing so. However, Mah said the task force would also do it’s level best to help stateless children and others to secure citizenship as fast as possible. “For now, the process of investigations and granting of citizenship has been reduced from two years to two months for those aged 70 and above,” he added. Mah launching the Facebook page to help citizenship applicants. On his left are Lau and Liew. At the presentation of letters of approval for citizenship to 11 new Malaysians at the party headquarters in Pudu Ulu on July 13, 2017, Mah also launched a Facebook page (Panduan Permohonan Kewarganegaraan Malaysia) to help guide applicants on the proper procedures to secure citizenship. 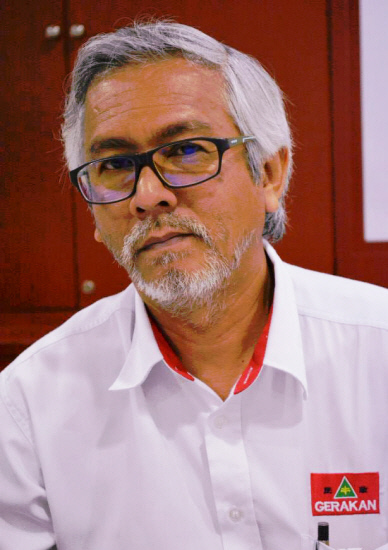 Task Force member Ben Liew, who is Gerakan’s nominee to contest N.22 Teratai in the coming 14th General Election (GE14), said 423 new Malaysians had been approved thus far. “We have received 1,600 applicants to date. This task force meets monthly and has officials from Gerakan, Home Ministry, police and National Registration Department,” he said. 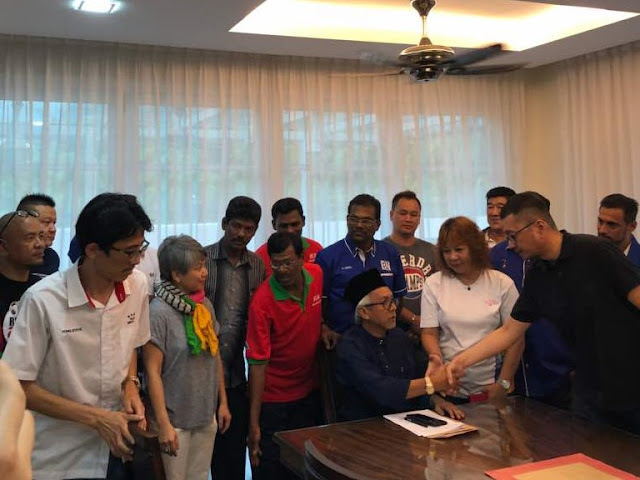 Kuala Lumpur Federal Territory Gerakan chairman Lau Hoi Keong, who is the party’s nominee to contest Ketari (Pahang) in the the coming GE14, is leading the party in the task force. Gerakan Deputy Speaker Syed Abdul Razak Alsagoff, who is Gerakan’s nominee to contest N.37 Bukit Lanjan in the coming GE14, urged Chinese “citizens” who still carry a red MyKad to visit the Facebook page and contact the task force for help. It is not only Chinese but all races Satu Hati one for all and all for one.